Over the years the EU has taken the blame for many bureaucratic oddities from banana curvature to overzealous health and safety laws. Whether Brexit will put an end to technocrat zeal or reveal it as legal inevitability, whatever the overarching political framework, remains to be seen. 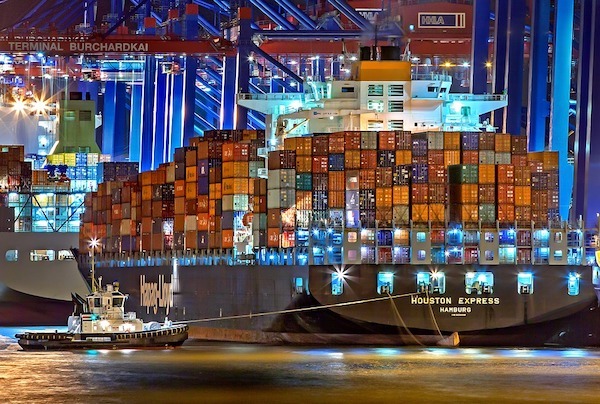 When it comes to the logistics of international trade, there will most likely always be a hefty pile of legal requirements for businesses to abide by. Given that UK businesses will, for the most part, continue to do a lot of trade with European partners, the logistical requirements of moving goods from the UK onto the continent will likely remain as much a legal and technical task as today. Ultimately, when it comes to international trade, perceived ‘red tape’ is usually there for a reason – namely to ensure that goods are transported from country to country in as safe, fair, and efficient a manner as possible. Sending a single parcel overseas – a gift to a friend in Austria, say – can go wrong, as we all know. It therefore makes sense that sending the more significant bulk of goods that your business wants to sell into a market will be even more complicated. As an exporter you will need to stay on top of the potential complications and risks of moving goods internationally. It’s for this reason that we strongly advocate companies to gain the skills and know-how of international logistics through qualifications and training. For instance, if you’re sending a significant amount of fragile components to Poland, what is the best form of transport for sending those goods? Further afield, if you are sending a tonne of t-shirts to Brazil, you’re not going to get them delivered by your usual domestic courier. Put simply, you need to, as an exporter, be able to identify the different types of transport modes and vehicles that are suitable for the goods being transported, and have a proper understanding of the routes your goods are delivered along. Once you’ve identified this, what legal and insurance requirements will this bring about? Are you going to send fragile goods to Australia without some sort of mechanism for mitigating the risk of them breaking on the way? No of course not. Our Certificate in International Trade and Logistics Operations (CITLO) gives you an understanding of these risks and the appropriate transport methods for sending certain goods to certain places. It also trains you in the mechanisms and documents through which different parties in international logistics communicate in order to ensure that your goods are transported correctly and compliantly. And compliance is a key point here. If your goods are liable to certain controls or restrictions in certain markets, for instance, you will need to also attain the export licenses needed to sell your goods into that market. Or in a more general sense, customs officials are going to need to know what is in the cargo being exported. As such, you need to know how to complete your documentation – packing lists, bills of lading and so on – correctly to ensure the officials have the information they need, allowing you to avoid the risk of your goods being delayed for inspection. If you’re involved in moving goods around the world, you need to know how it’s done. If you don’t you face the risk of delays, failed shipments, and in some cases fines. CITLO gives you the skills needed to successfully send goods around the world, while courses like our Diploma in World Customs Compliance & Regulations gives you an even more comprehensive understanding of how world customs operates. If you’re involved in sending goods overseas, don’t wait till your next failed shipment or delay. Get the skills of trade now and avoid costs to your business before they happen.